Pål ‘Moddi’ Knutsen, wallows tenderly in his stark melodramatic compositions, cutting his set of song writing skills teeth on the ragged Norwegian coastline, to produce some moody expansive tomes. This 23-year old native of the far northern island of Senja brings a certain welcoming melancholy that is deeply embodied with fraught and suspended atmospherics. His Rubbles EP is imbued with a certain assiduous quality, over its expressive four tracks, split into both songs from his last album, ‘Floriography’, and two previously unreleased tunes. Each one was written over a 4-year period, as he travelled back and forth between Senja and Oslo. Like a young Nordic Scott Walker, these considered and layered tracks use Moddi’s haunting evocative voice to great effect: the vocals filled with an air of reverently harsh and laid-bare elucidation, the kind that would suit the cinematic’s of Ingmar Bergman. Take the final sweeping ‘Floriography’, where our saddened muse harks honest frayed lines like, “You lost all your sons, and killed your daughters with your own doubt”, building to a pastoral situationists-esque annunciation of, “There is still earth beneath the pavement”. His singing style delivers these chaste lyrics in a strangely original fashion, one that sounds like a male Nico picking up a concoction of both Irish and Cornish dialectal ticks, whilst standing on a Scandinavian rocky precipice, reading poetry to the sea. Moddi swings between evanescent displays of pronounced and nigh breaking-point hysteria, threatening at any moment to collapse under the weight of his own breathlessness and exhausted prose. You could say he gives it his awe, wearing those serious emotions on a pair of wet sleeves, for the whole world to see; this is a troubled soul, and one with certain principles – he turned down a nomination for the $100,000 Statoil scholarship in protest at their drilling explorations in the north of his country. Musically we are entrusted to stay the long haul, as the bands accompaniment deftly traverses across tense landscapes, rich in beguiling sea shanties, drifting sombre violins, and shuffling sparse drums. Every pause for breath, creak of the accordion, scrape of the strings and finger movement is echoed around the environmentally acute soundtrack, creating a dramatic backdrop, which defies easy classification as its neither wholly a traditional sound or a sub genre of folk. 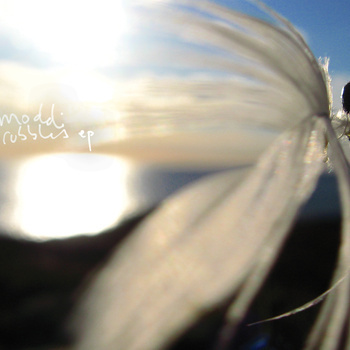 Intensified and aspiring, I implore you to investigate, as Moddi could just be one of the most promising artists of 2010.